Jason is an all-rounder, playing many guitar styles, including swing jazz, gypsy swing, be-bop guitar, George Benson, Wes Montgomery style. He’s available in the following duo formats: Jason plus vocals; Jason plus second guitarist; Jason plus sax/trumpet; Jason plus double bass; Jason plus piano. 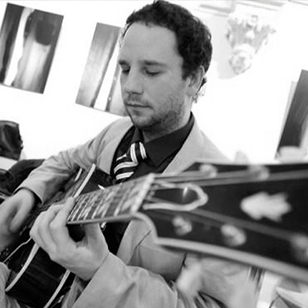 Jason Henson is a versatile jazz guitarist, playing Django style, swing, be-bop, Wes Montgomery style and George Benson style. In a duo format he can team up with a vocalist, another guitarist, a double bass, a sax or trumpet, a pianist or an accordionist. Of course, if you wish you may build the band into a larger group. As one of the best guitarists around, Jason is in demand from many bands and his increasingly busy solo project. He frequently supplies jazz for weddings, corporate parties, pubs, clubs and more. 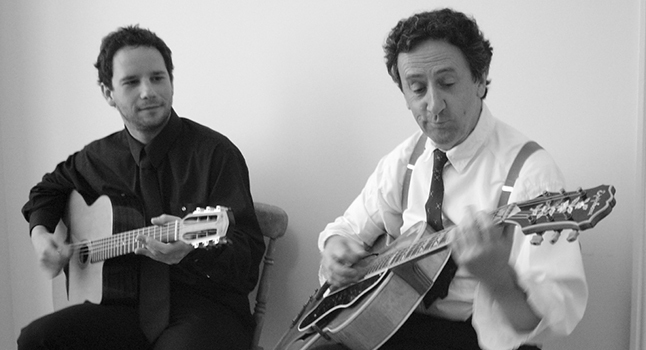 You can find Jason in various bands on this site, including solo jazz guitar, Jonny Hepbir’s trio and quartet, Sara Oschlag’s trio and quartet as well as the eight-piece swing band Rockin’ in Rhythm.